There’s a bit of snow on the ground where I live now, and the Christmas lights are up, leaving me to wonder how on earth it’s gotten to be December already. But December is good because it means family and Christmas cookies and the smell of evergreen in the living room, and cuddling on the couch laughing at The Grinch. Consider this a catch-up blog since I’ve been quiet lately, busy writing and Skyping and signing. I’m working on the third book in my Silver Jaguar Society mysteries with Scholastic. It’s called MANHUNT, and it takes place in all the brightest and darkest places in Boston and Paris, and that’s all I want to say right now, other than that I am having SO much fun writing it. 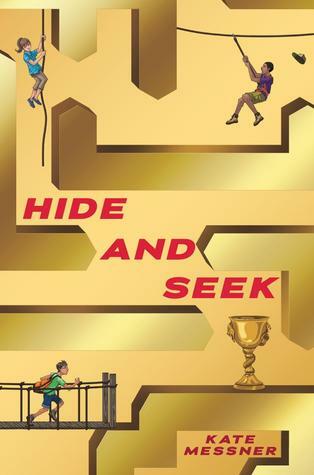 The first book, CAPTURE THE FLAG, came out this summer, and the second, HIDE AND SEEK, is coming out April 1st, but the cover is already online, so I can share it with you. In other writing news, WAKE UP MISSING, my Fall 2013 novel with Walker/Bloomsbury is off to copy edits, which makes me very happy. I’ve seen a draft of the cover, too, and this makes me even happier because it’s a stunner. I can’t share just yet, but I’m excited. And the third book in my Marty McGuire chapter book series with Scholastic is with my editor there now. It’s called MARTY MCGUIRE HAS TOO MANY PETS! There will be animals and shenanigans of all kinds. It comes out in Spring of 2014. I’ve done more than forty Skype visits in the past two months, talking books and writing with hundreds of readers from Pennsylvania to Calgary. Here’s one of my groups from this week – a crew of Gwin Oaks Elementary School kids in Georgia. Can you guess which book they read? Hope your December is off to a great, sparkly start!